Brian Ach/Invision for Advertising Week/APAfter the 2002 Busta Rhymes hit single "Pass the Courvoisier," sales of the cognac jumped. We're used to seeing products and brands overtly pitched to us via TV, Internet and billboards. But it is also increasingly common to hear them pitched via music, whether we realize it or not, according to a new study in the Journal of the Music & Entertainment Industry Education Association. Storm Gloor, who teaches music business at the University of Colorado Denver's College of Arts and Media, set out to quantify how often the names of products, people and places are mentioned in pop music. This practice is sometimes known as "advertainment." Gloor found that the mention of specific products, people or places has increased over the past 50 years -- and advertainment has succeeded in prompting us to spend money on wants, while also helping artists to make money in the digital age. "Many people thought music was the last bastion free of marketing, but that train has left the station. Many musicians these days make less money from their recorded work so they must become marketing entities since the music doesn't entirely pay the bills," Gloor said in a report featured in the American Association for the Advancement of Science's EurekAlert. "People could get sick of it and there could be a backlash, but for now this is the new reality." To reach his conclusion, Gloor dissected the top 30 Billboard songs of each year from 1960 to 2013. That's 1,583 songs. Among them, he found 1,544 product references, with most of them occurring between 2000 and 2010. Cars were the mostly commonly referenced product type, with Mercedes-Benz, Bentley, Corvette, Cadillac and Chevrolet among the most commonly mentioned brands, according to the study. The study also showed a direct link between product placement and awareness of a brand, according to the EurekAlert report. 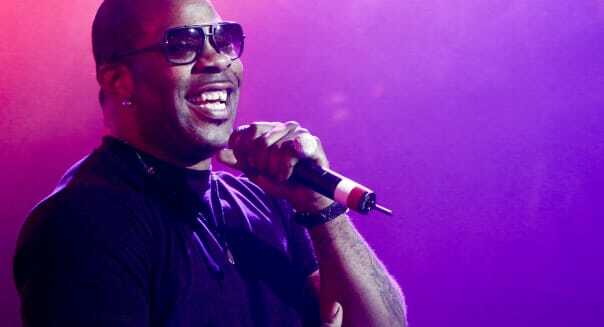 After the 2002 Busta Rhymes hit single "Pass the Courvoisier," sales of the cognac jumped 10 percent to 20 percent that year, the study found. As with products, specific locations are named for various reasons, including purely artistic reasons like to "add color and texture to lyrical descriptions," the study states. Other reasons include to promote an artist's own brand or image and to influence radio or club airplay in certain markets, especially when a location is named in "call out" fashion, as rapper Tupac's 1995 song "California Love" did. How do you feel about advertainment in your favorite music? Sound off in a comment below or on Facebook. Like this article? Sign up for our newsletter and we'll send you a regular digest of our newest stories, full of money saving tips and advice, free! We'll also email you a PDF of Stacy Johnson's "205 Ways to Save Money" as soon as you've subscribed. It's full of great tips that'll help you save a ton of extra cash.